Want to access your deeper potential? Whether that’s changing your job to something you dream of doing, or re-creating your life to a life you feel you were born to live, or just accessing more resilience and clarity of mind to increase your potential as parents, in relationships, within your business, or to be an inspiration to others. This on-line conference will help you do all of the above! Speaker, coach, trainer, editor and author of State of Mind in the Classroom: Thought, Consciousness and the Essential Curriculum for Healthy Learning, and The Spark Inside: A Special Book for Youth. Transformative coach, owner of a San Diego based chain of restaurants, author of numerous titles, including Do NOTHING To Get EVERYTHING, Lessons From My Coach, Happiness Formula, and his latest book What The F**K Are the Three Principles? Educator, consultant, and coach. Andy helped direct two innovative high schools designed with the principles at the heart of the curriculum. Practice - The Center for Insight and Change” and also teaches and coaches tennis professionally. Ankush Jain is a coach and trainer and is a certified Clarity Practitioner and a mentor to those in the process of being certified. He works with clients world-wide, has spoken at conferences in the USA and Europe and in 2014 founded the Powerful Men Group. 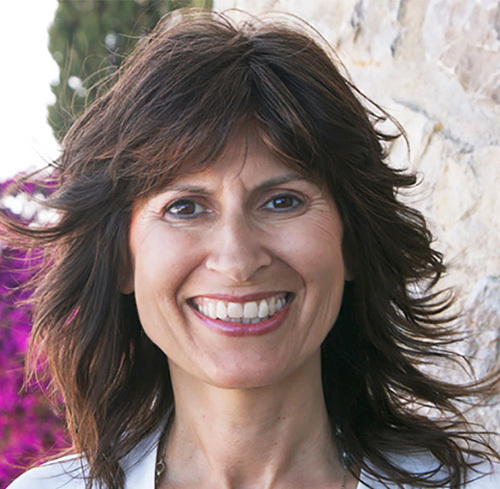 Ann Ross, coach and mentor, facilitates on line trainings via webinars worldwide regularly, hosts live training in Devon and offers one to one Immersion days for those who are wanting a more intense experience of how Mind works. Annika Hurwitt worked as a psychotherapist until 1993, when she was introduction to The Three Principles. Annika works with individuals and couples, as well as leaders, organizations and teams. She also trains and mentors Three Principles Practitioners. Brian Rubenstein, CEO of Innate Health, is developing IHEART (Innate Health Education and Resiliency Training) to "building resilience in the next generation." He co-authored- Exquisite Mind and The Peach Who Thought She Had To Be A Coconut. 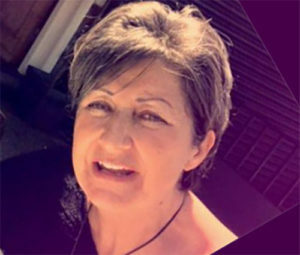 Catherine Kennard has been teaching primary school since 2002 and for 12 has also been a Three Principles trainer. She is passionate about making a difference in children, teachers and parents lives and has worked with Peter Anderson in delivering trainings in schools. Christine Higgins is a facilitator, speaker, with a background in engineering, business, and not-for-profit. She began Three Principles New England (2016) to support coaches in the Northeastern United States. In 2017 she began Inspired Storm, in order to reach a larger audience. Denise Holland - founder of Class Performance – Excellence Within, (UK), focused on high-performance sport, youth and education. As the National Coach (Scotland) for Netball, 2008-2013, she lead the Scottish Thistles to the Commonwealth Games. She hosts a podcast PODIUM – Spiritual Truths Behind Elite Sports Performance. Dicken Bettinger, Ed.D., is a retired psychologist. Co-founder of Three Principle training, counseling center (91), worked at Pransky and Asso. and founded 3 Principles Mentoring (2012). He offers 4-day immersion retreats for individuals, couples; practitioner development. Garret Kramer is the founder of Inner Sports and is credited with bringing the Inside-Out Paradigm to the athletic community. He provides workshops, and crisis management to hundreds of athletes, coaches, Olympians and business leaders. Author of two book - Stillpower and The Path of No Resistance. Jacqueline Hollows is the founder of Beyond Recovery CIC working to revolutionise how addictions and mental health are stigmatized. She has worked in the criminal justice system with inmates, officers and staff. Her work is evidenced by academic research. Jamie Smart is an international writer, speaker, coach and trainer. He helps individuals and organizations unfold the unexpected keys to CLARITY®; the ultimate leverage point for creating more time, better decisions and meaningful results. Jamie is the author of several books. Jeanne Catherine has successfully built a community of practitioners and provides training programs for coaches and therapists with her company Divine Play. She hosts the radio show, Waking Up: The Neuroscience of Awareness and is a mediator & parent educator in Charlottesville, VA.
Jenny Anderson trained in the Three Principles with the late Dr. Roger Mills and is the co-creator of the threeprinciplesmovies.com. Jenny is an international trainer and has worked with populations such as the homeless, prisons, and earthquake survivors. Joe Bailey is an author, speaker, seminar leader, and consultant. He is a psychotherapist and psychologist. Joe develops programs for health care centers and professionals. He is the author of six books and is currently working with the Mayo Clinic and writing, The Burnout Cure. Karen DiMarco, RN, BSN, iRNPA is a healthcare visionary, speaker, educator, and transformational coach. Karen implements workplace wellbeing programs globally. She also is a faculty member of the RN Patient Advocacy training program in partnership with the University of Arizona. Ken Manning practiced as a clinical psychologist for 20 years and also works in the field of business in software development. Ken, along with partner, Robin Charbit formed Insight Principles and together facilitate trainings to bring insight principles into the corporate world. Liliana Bellini works with Beyond Recovery. Mandy Spray has worked for many years in health, social care and education sectors. Mandy is a certified Innate Wellbeing Facilitator and a Clarity Coach and Trainer. She runs her own coaching and mentoring practice and also is the co-founder of the Clear Mind Academy. Michael Neill is an international transformative coach and author of six books: Creating the Impossible, The Inside-Out Revolution, The Space Within. Michael is the coach’s coach. He has a TEDx talk, ‘Why Aren’t We Awesomer?’ and is a radio host on Hay House. Niko Leppänen is a coach, non-fiction writer and trainer. Niko set up a 3P Academy on Finland and is the founder of The UNLIMITED conference. He has an interest in helping young athletes find the psychological resources that are required at to be at the top of their game. Peter Anderson enjoyed a 40 year career working in primary education. During the past 11 years his training with the principles has led him to mentor others and develop Anderson Wellbeing. Peter provides trainings to schools, businesses, leadership teams, individuals and groups. Rob Cook is a motivational speaker and wellness life coach. He's the creator of Optimum Performance Coaching and the Warriors for Life Corporate training. Rob provides workshops for Fortune 500 companies, executives and VIPs in the entertainment and sports industries. Robin Charbit worked as a chemical engineer and managed North American Chemicals Practice. He moved away from this career to bring an understanding of how the mind works into business. Robin partners with Ken Manning in their Insight Principles company. Samantha Hurst enjoyed working in the homeopath and naturopath field and now runs a principle-based practice where she see clients privately and in groups. She is a speaker and associate of Freedom Thinking and has a strong interest in abstract art. Sandy Krot works with Insight Principles, Inc. and co-authored a book with Ken Manning and Robin Charbit entitled, Invisible Power. Her principle-based leadership training helps Fortune 500 executives and teams achieve extraordinary results in the workplace. Sara Priestley is a faculty member of Innate Evolution and associate of Freedom Thinking. Sara coordinates events and coaches privately, in London and online. Her Heart and Mind Gatherings provide an ongoing free space for group video conversation and peer support. Sharon Strimling spent 25 years running businesses in the health and wellness industry, from therapeutic massage and fitness to integrative nutrition, coaching and yoga, all influenced by the three principles. Sharon now works full-time as a principle-based mentor and trainer. Tanya started a 3 principle based social enterprise in the UK. She offers workshops and designs change programs for teams of health practitioners shifting their mind sets from pathology to a wellbeing focus. Tanya also helps organisations with cultural change. Terry Rubenstein is co-founder of the Innate Health Centre. She provides uplifting seminars, workshops, online talks, one-to-one sessions and a weekly Innate Health blog. Terry is the author of “Exquisite Mind ” and "The Peach Who Thought She Had To Be A Coconut. REGISTER NOW TO RECEIVE A SPECIAL BONUS GIFT! 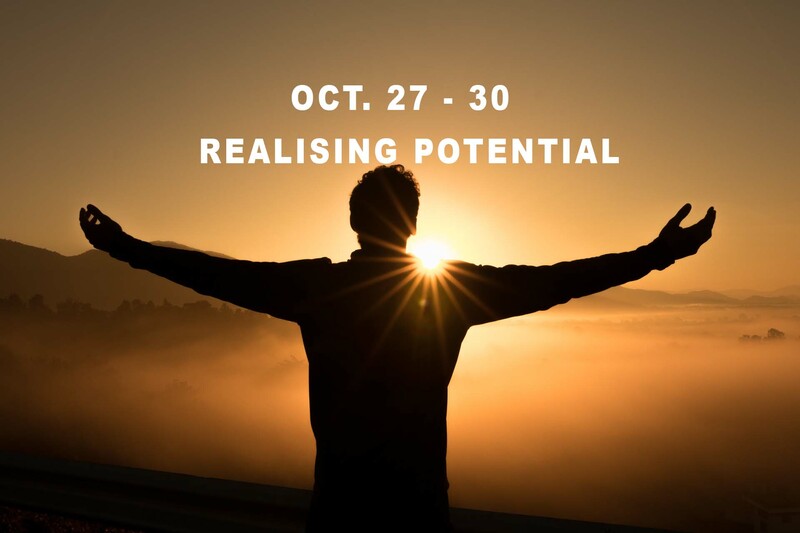 All sign ups to the conference receive instant access to ‘The Space of Infinite Potential’ a professionally filmed, 23 part, on-line course on accessing our innate human potential with Dr. Dicken Bettinger and Rudi Kennard. This course is a deep dive into the nature of consciousness and our innate human potential. It seeks to add depth to ones understanding of the three principles as well as clarify how the human experience is being created to uncover a deeper order of potential within our own lives. 4 full day online conference Weekend + Weekday schedule of dynamic speaker presentations. Don't miss this opportunity and register today! 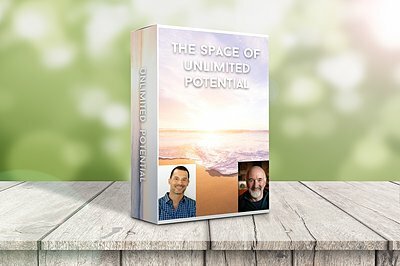 The Space of Infinite Potential a 23 part online course with Dr. Dicken Bettinger. So flexible! Ask questions, hugely interactive, and great value for money. I loved the clear, practical explanations. The energy and love was beautiful. It was like being in the same room with each other. The speakers were the best! This can be for people completely new to ‘principle based understanding’ as well as for people who have been around the understanding for a while and who wish to get more of an embodiment or to be able to articulate the approach with more clarity and depth. What is a ‘principle based understanding’? This non-technique based approach shares an insight driven, factual constant behind our psychological experience, that aims to reveal the formless logic of how the human experience works. This understanding was initially uncovered, over 40 years ago, by a man named Sydney Banks and since then has been shared all over the world within fields from the criminal justice system and substance recovery to school children and corporate executives. Research has shown this neutral understanding to greatly improve resilience ‘being able to bounce back from adversity and past issues’. Will the event be recorded? Yes, all the presentations will be recorded and you will automatically get the recordings after the event as they are included in the price. If you would like recordings from all four days, please ensure you sign up for the full conference and workshops. What's the difference between the weekend presentations and the weekday workshops? You will have the opportunity to go deeper into the the topics raised during the weekend presentations by attending some of the weekday workshops. The weekend presentations are short and focused, while the weekday workshops are longer including a lot more time for Q&A. Will there be technical help? Yes, we are always here to answer questions. However, we can’t help with your desktop or mobile device, and zoom.us support is the best resource for the conferencing app. What will I get from the conference? You will learn about an understanding of the mind. this understanding is descriptive – so nothing to ‘do’. It has been shown to reduce stress and unproductive mental states whilst increasing peace of mind and mental clarity. Once you sign up you will get an automatic email with a link. Please click the link at the designated time, and the link will take you through to the conference. Please note there will be one link for the weekend conference and one for the weekday workshops. Can I join from a mobile device? Yes! You can join from any device that has an internet connection. You can even join by phone. You can find out more from zoom.us, our platform for the conference. Can I just sign up for a weekday workshop and not the weekend presentations? This is an option, but we would recommend you attend the weekend (or watch the recordings), as the presenter will presume the audience know what was covered over the weekend, and they will progress at a quicker pace. Can I ask another question? We are happy to address any of your questions. Please contact us through our contact page. We love to hear from visitors who want to know more about what we do, contact us with your questions.